Superblue and Swappi are having stellar Carnival seasons and it shows. On Sunday, the two singers were in their element at the annual Soka in Moka All-Inclusive fete. Swappi, dressed in a black see-through Ecliff Elie shirt and black pants looked every inch a star as he rushed out on stage to remind patrons that he is no one-hit wonder. 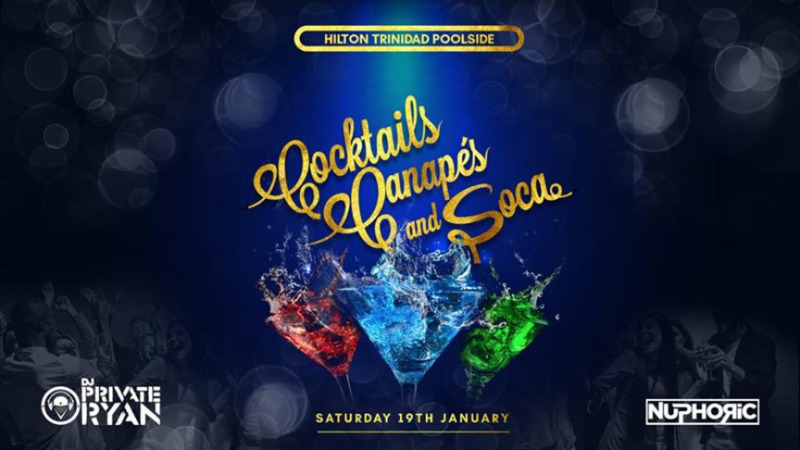 The ‘Party Start’ singer energetically delivered past hits such as ‘Bucket’, ‘Dis Gyal’ and ‘Bubble on a DJ’ before giving the patrons what they longed to hear. He was so entertaining that Blaxx gave him an encore as the crowd happily sang the ‘Doi Doi’ refrain of his song with the Ultimate Rejects. Superblue, also attired in an Ecliff Elie creation and flanked by 3 Canal, brought the pace to the party with ‘Rag Storm’ but also went down memory lane to pull songs such as ‘Ethel’ and ‘Soca Baptist’ from the archives. 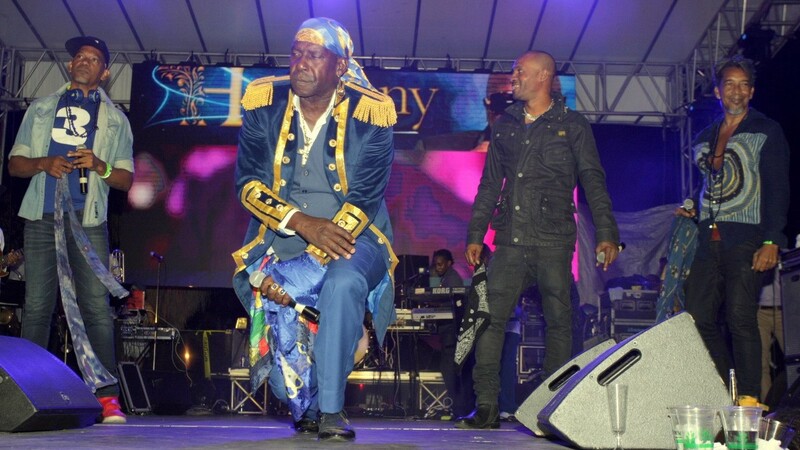 He provided a touching moment too when he called Soka in Moka PRO Dexter Charles to the stage to thank him for having him there and sang ‘To Love Somebody’ to show his gratitude. Celebrating its 20th year, Soka in Moka retained its reputation as the place to see the hitmakers. 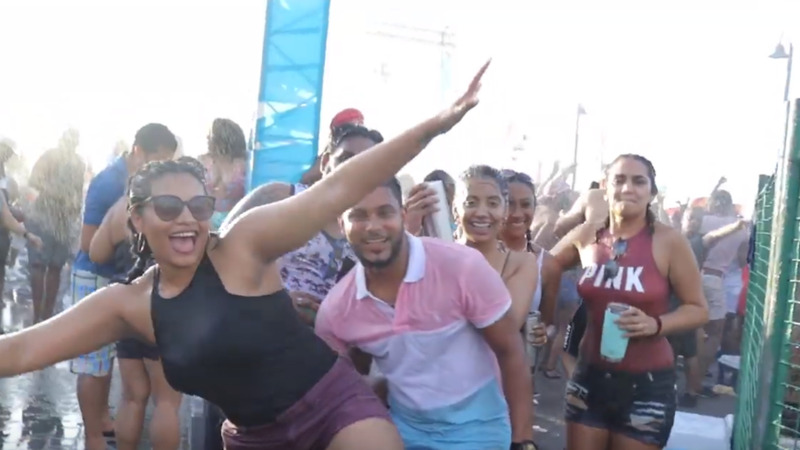 Nadia Batson, Farmer Nappy, Nailah Blackman, Patrice Roberts, Shal Marshall, Voice, Sekon Sta, Ricardo Drue and Teddyson John were among those who performed. Olatunji Yearwood, debuting his band Tadow, also performed. Ola is a Trinity College past student and featured other past students Trilo G and Mecal Teja during his set. 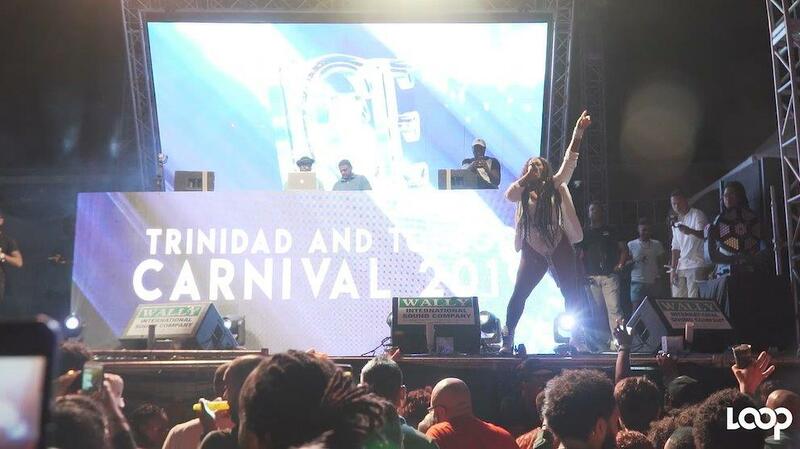 After a brief stint from EPT Entertainment, DIl E Nadan raised the curtain on the performances followed by Tadow, Blaxx and the All Stars and the A Team. Off the stage, patrons enjoyed the fare of curry crab and dumplings, noodles, bake and shark, creole food, Indian delicacies, desserts and ice cream. The layout was generally improved this year with more seating areas for patrons and even a big screen for those in the back to take in the show while socialising.